Avalee Donovan from Aquinas College performing on Saturday. Photos: Tracy Hardy. It’s an amalgam of athleticism, creativity and artistry. Or a hybrid of swimming, dance and gymnastics – either way it’s glamorous athletes performing synchronised, elaborate and graceful manoeuvres to music in the swimming pool. It’s the Olympic sport of synchronised swimming. Physically and mentally demanding, but made to look effortless and beautiful. 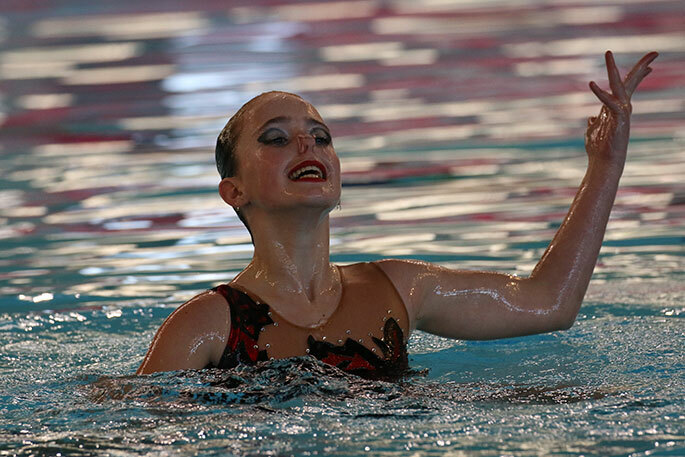 And a measure of the sport’s popularity is the 100 competitors from seven clubs coming to Tauranga’s Baywave Aquatic Centre for the North Island Synchronised Swimming Championships this weekend. She should know. Lara is a three-time Olympian from Brazil, has competed at five world championships and has won numerous Brazilian titles. 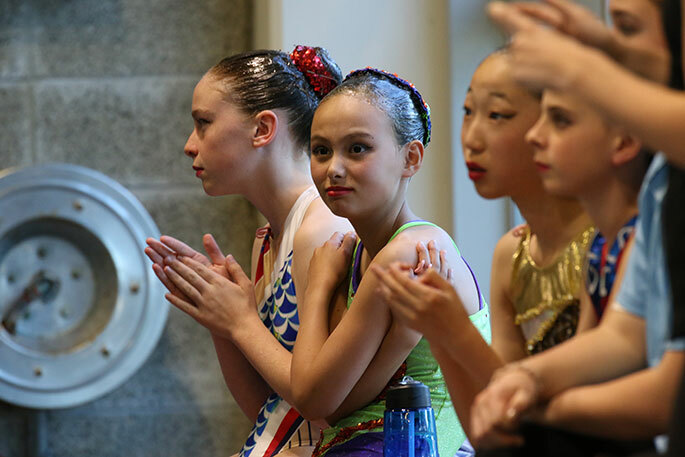 Tauranga Synchro has high hopes for the championships. It’s a successful club with a strong history of athletes being selected for New Zealand in high performance squads. Jazzlee Thomas (18) and Eva Morris (19) have just returned from the Canadian Open where they won two bronze medals. They’re now preparing for the World Champs in Budapest in July. 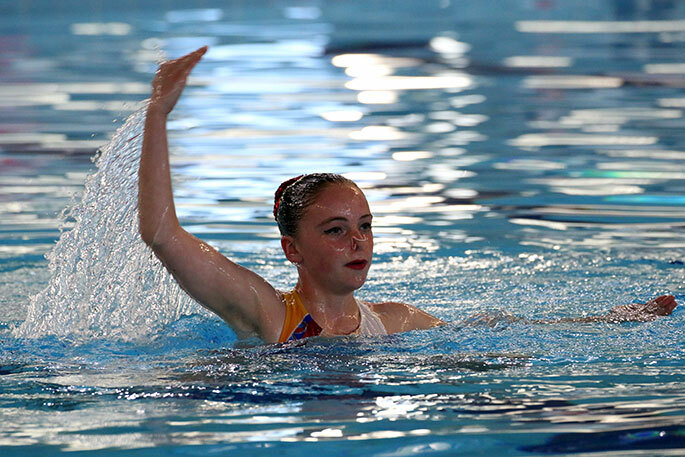 Four Tauranga Synchro athletes have been selected for the High Performance Squad aiming to compete in the Malaysia Open in December 2017. 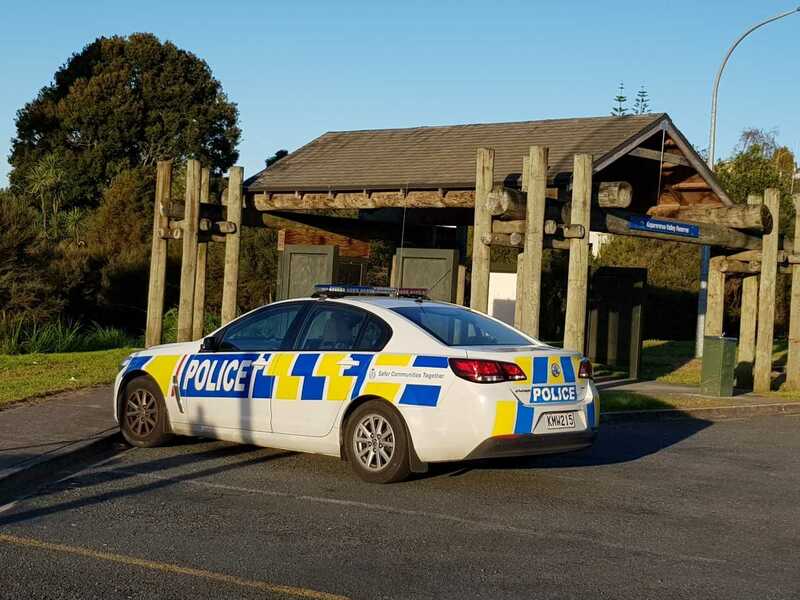 The best viewing times for the public will be today after 9.30am at the Baywave Aquatic Centre. Avalee Donovan from Aquinas College. Anna Rodygina from Birkdale Intermediate. Anastassia Kotova from Takapuna Intermediate. Sianna Palmeri from Belmont Intermediate. Josephine Wells from Blockhouse Bay Intermediate.